For most students, going to college is a stepping stone to greater things, a means of reaching their professional goals and aspirations. But a growing number of Stony Brook students are getting a head start on fulfilling their dreams by launching businesses of their own while still in school. And Stony Brook is serving as a powerful support system for many of them. Student entrepreneurs Ariel Rodriguez ‘20, left, and Yark Beyan ’19. “Whenever I teach a new class, I meet new students who have either started their own business or are going through the startup process. 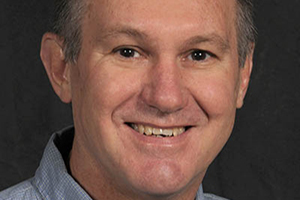 There are usually six to 10 students each semester, and that doesn’t include students from other non-business majors,” said Assistant Professor of Business C.S. Richard Chan. 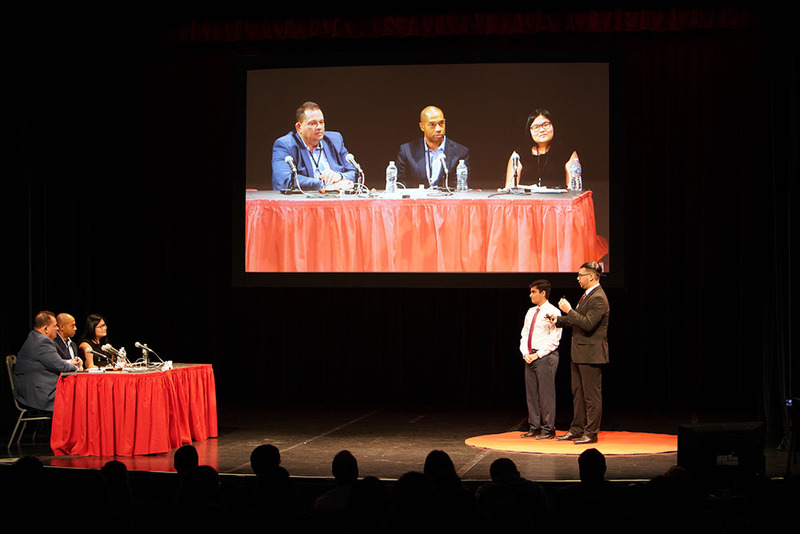 Nearly 1,800 Stony Brook students are business majors, but the entrepreneurial spirit can develop in any student with a great idea – and ideas are popping up everywhere on campus these days. 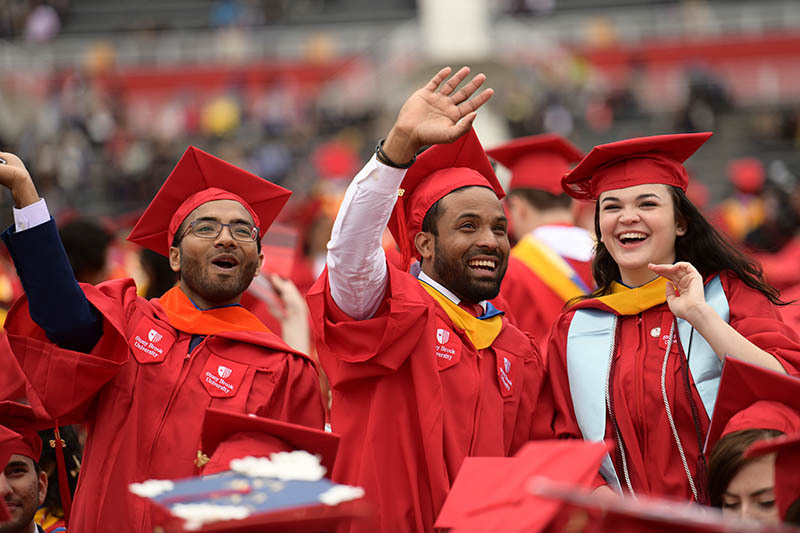 Stony Brook has become a home to many entrepreneurial students pursuing their professional business goals, often with the help of the University and its academic leaders and programs. Campus is an ideal environment for students to make connections and experiment with new ideas. The College of Business is home to the Center for Entrepreneurial Finance; under Chan’s direction, the center’s five faculty members teach students how to acquire, manage and transfer financial resources through research and surveys of local stakeholders. 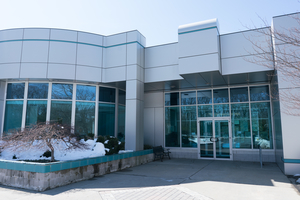 There’s also the Stony Brook Innovation Center, spearheaded by Gerrit Wolf of the College of Business, which provides educational support and consulting for the development of new and unique technology ventures. For students looking to grow an existing business, the Small Business Development Center (SBDC) is one of 23 centers in New York providing support services to entrepreneurs using resources from the University, the private sector and the government. 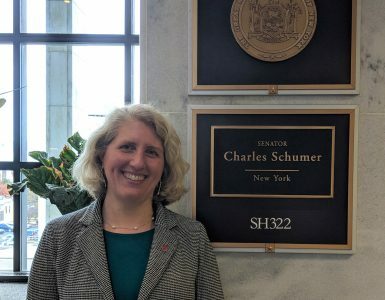 In 2005, the Stony Brook Entrepreneurs Challenge was created by Ann-Marie Scheidt, director of economic development, to give students with innovative ideas a platform for turning their business plans into viable companies. Since its launch, more than $500,000 has been awarded to students to help cover startup costs of their business. Top students from the annual event can also advance to the regional and state competitions. SBDC staff support students by providing free professional business advisement, helping student teams create concise, professional and persuasive business plans. Similarly, the annual Wolfie Tank event hosted by DoIT gives promising student entrepreneurs a shot at winning cash prizes. Based on the NBC hit show “Shark Tank,” Wolfie Tank brings together a panel of alumni entrepreneurs to offer feedback and select which business pitches win the $1,000 and $500 prizes for first and second place. Though the challenge participants come from a variety of backgrounds and majors, they share a fierce sense of determination, a strong work ethic and the desire to make a difference. “People are tired of flipping over a bottle of a beauty product to see an endless list of products they can’t pronounce,” Yark told the crowd during her pitch on Nov. 7. A political science major in the College of Arts and Sciences, Yark said that the ingredients for her products are sourced from women in Liberia. The next phase in the company’s development will include the construction of a business education center in that country, equipping Liberian women with the skills and tools they need to grow their own businesses. This summer, Yark will use the prize money from Wolfie Tank to travel to Liberia, meet new potential business partners and identify a site for the education center. To Ariel Rodriguez ‘20, being an entrepreneur means waking up early and staying up late, knocking out homework assignments while fielding emails for his web solutions company, Softwaylancing.com. He also holds down two on-campus jobs. Ariel came to Stony Brook with the support of the EOP program, allowing him to pursue a longtime interest in computer programming. Along the way, he met Yash Jain ‘18, and the pair worked together to grow a web design company. Ariel Rodriguez, far right, stands next to Yash Jain ‘18 as the pair present to Wolfie Tank judges. Damien Beri ‘19 has a business concept that blends his family’s trade with his academic interests. 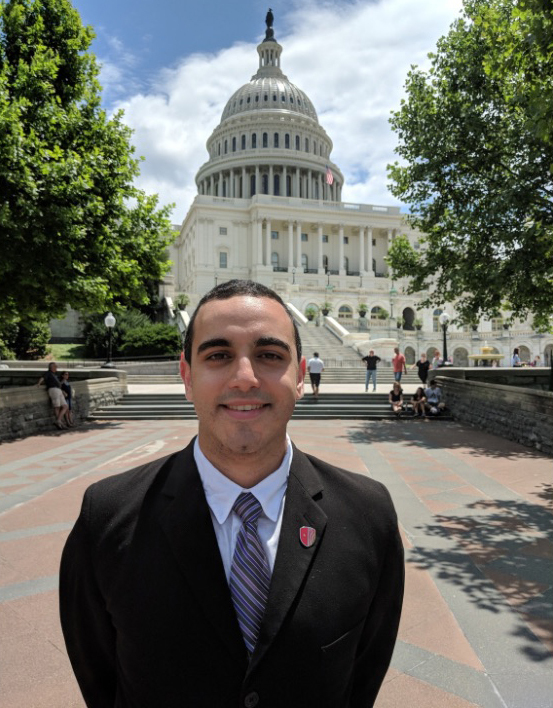 Damien is a graduate student studying Marine Conservation and Policy in the School of Marine and Atmospheric Sciences, but he’s not waiting until graduation to start protecting ocean life. Jewelry created by Damien Beri ’19 from a blue legged hermit crab shell. Damien learned about jewelry design from his father, who worked in the industry. Today, he’s the founder of Reefined Arts, a company dedicated to rebuilding coral reefs through the sale of coral-inspired jewelry. 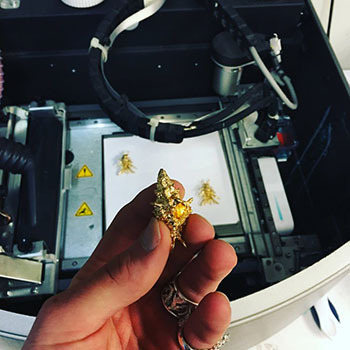 To design his jewelry, he uses a 3-D scanner to create digital images of homegrown or donated coral. Those images are 3-D printed in plastic, then cast in any kind of metal to create the final piece. A single, inch-long piece of coral can be used to create many different types of jewelry, Damien said. More importantly, a portion of the proceeds from Reefined Arts is used to support coral nurseries and regrowth efforts in Belize and Haiti. Opportunities for involvement in cutting-edge research and product development are readily available throughout the University in various fields. The Advanced Energy Research and Technology Center on campus is devoted to tackling some of today’s biggest concerns: sustainability, energy conservation and environmental protection. The center is currently working on more than 35 projects, including new advancements in electric car batteries, solar panels, water heaters and heat pumps that rely on natural gas, among others. 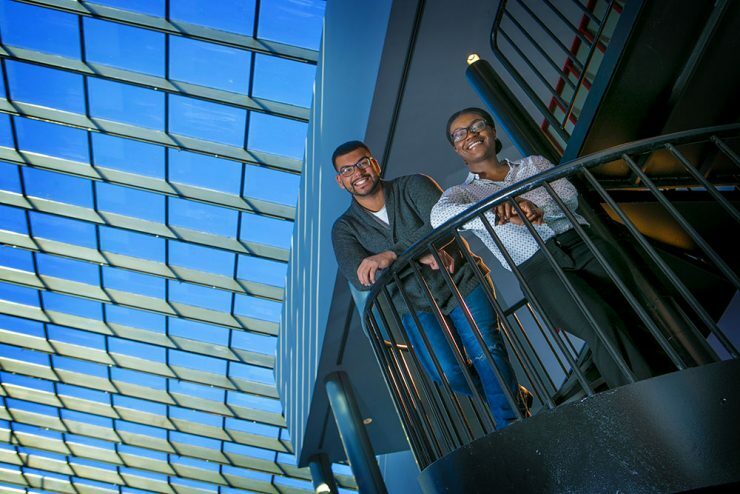 Approximately 35 students are currently working with the center as researchers for faculty or interns for the five businesses headquartered there.